Messy Play Aberdeen-Mess Around Party! Where: 46th Aberdeen Scout Group, Cardens Knowe, Bridge Of Don, AB22 8 Aberdeen. Description: There ain’t no party like a Mess Around Party! It might be cold outside but join the Mess Around gang and party away those January Blues! All our favourite toy characters will be there, as well as gloop-diving penguins and Soapy Ducks. With lots of favourite activities to explore including our Famous Painting Wall, Play-dough, Slime, Coloured Spaghetti and Rainbow Rice but to name a few, little ones can squelch, pour, mix and get messy till their hearts content. All you have to do is come along MESS AROUND and leave the cleaning up to us! Description: Join Cinderella and her Fairy Godmother at Royal Ball filled with adventure, imagination and delight. Description: Come along to Aden’s Terrifying Tales event with local storyteller Pauline Cordiner. All the fascinating stories are based on events that happened in Buchan. Create-A-Skate is a family workshop where you can customise your own up-cycled skateboard decks. These are repurposed wooden decks that have been reshaped and sanded to a quality fit, for function or for decoration. This workshop aims to provide a space for participants of all ages to express their creativity whatever knowledge of art and skateboarding they have. This is a gently guided class with a relaxed structure, encouraging participants to make their own decisions and choices. Neil Kellas will be there to assist in realising these ideas and will be on hand to if guidance is wanted or needed. A range of materials and processes will be provided such as; spray paint, acrylic paints, and printing materials. The outcome of this workshop is to allow people to create freely, at any skill level and to leave with an object that can be used in a healthy and active way. All children under the age of 16 must be accompanied by an adult, and adults are encouraged to also purchase a ticket and take part. Adults do not have to purchase a ticket to accompany their children but will not be able to decorate their own board. Description: A chance to relax after the chaos of the holiday season, come and join the rangers in the Kincorth Hill woodlands for a gentle sit around a campfire with some woodland crafts. Activities could include willow weaving, whittling or similar gently paced activities allowing you to slow down and relax. Please wear clothing suitable for the weather and bring a packed lunch. Meet at the Reserve car park at Abbotswell Crescent. First Bus number 18 bus stops next to the car park. 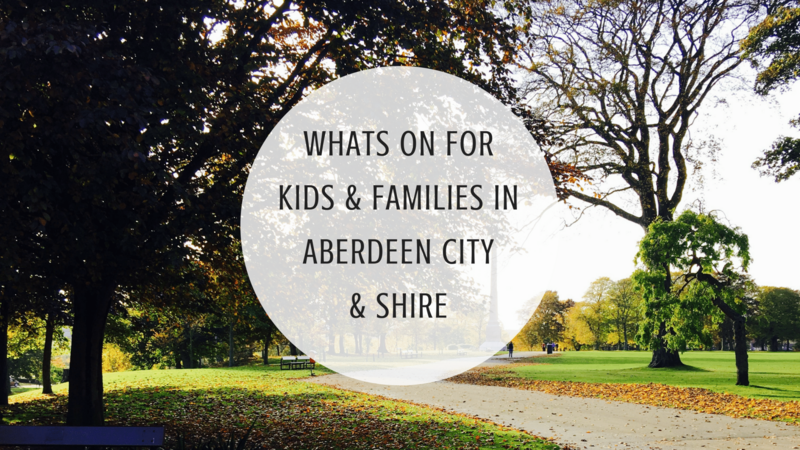 Call 01224 326 429 or email Countrysideranger@aberdeencity.gov.uk to book and for more information. Description: A hands-on workshop for learning the skills and techniques of bath bomb-making, but this time for children starting age 8 (6-7y/olds allowed, if they have confidence to work independently). This workshop will show you how to create you own beautiful product and make the process of bath-taking incredibly enjoyable. You will choose from a variety of fragrances and dyes to create your very own bath bomb range. Using individual moulds, add dyes, fragrance oils and additives to make your own masterpiece. All art and craft workshops presented by RA will be provided with consideration of therapeutic art approach. Therapeutic art can be described as creative and expressive form of therapy. The therapeutic creative process of self-expression can improve one’s physical and mental health. It will also make an impact on our emotional well-being. Creating art through Therapeutic Art provides an outlet to express oneself freely, which will encourage and promote healthier and happier life. Tickets to this workshop are non-refundable once purchased. Modifications to primary location do not qualify for refund, unless the event is cancelled. However you can pass your space/e-ticket to any of your friends/family, if unable to attend. Official explanatory email (to: pr.raent@gmail.com ) should be send to us to confirm such arrangement. Private tours are available on request. Just contact us at scotfreetoursaberdeen@gmail.com . Description: At a Code Club, young people learn to program and develop websites, apps, programs, and games, they build things with code and electronics, and much more. We aim to make learning to code a fun, sociable, and creative experience. What should I bring to the event? All children should bring a laptop. In case you cannot provide one, we have a small number of computers (first come basis) offered by the centre. Please add that your child requires one to the ‘additional notes’ section when booking a ticket. Should my child or I have prior coding knowledge? No, the club is open to complete beginners as well as to young people who have coded before: we have skilled mentors who will help with technical questions. Description: Home against the Glenrothes Cougars. Free admission. Are you a Fornite Fanatic? Do you know your Mario from your Minecraft? Not 100% sure on PCs or consoles yet? Could you spend some time in an awesome venue learning how to play the latest games, racing cockpits and VR? If you are age 7 and up – join in the fun. Staff at Engage Gaming and appointed Gaming Ambassadors will be on hand to instruct you each week as we concentrate on genres/types of games and look into them further together. Description: Didn’t get your forensic fix during our Crime Scene Investigation public theme? Then come along to our exclusive CSI STEM Club. Calling all future forensic scientists! Here’s your chance to join the ranks of our first STEM Club CSI Training Academy. We’ll be experimenting with evidence of all kinds from footprints to fibres while honing our skills in various forensic science techniques! Please note that we have moved from 179 Constitution Street to 107 George Street, Aberdeen, AB25 1HU. Description: The first show of our 2019 tour. Following on from our very successful 2018 sell out tours around the Northeast, we have our first show of the year. Great chance to come &amp; meet The Critter Keeper & his amazing Critter crew. Get up close & learn about some weird & wonderful exotic animals from around the world in this fun filled educational 1 hour workshop for the whole family. After the show there will be a selection of critter related pocket money toys available to purchase. With all proceeds going back into the up keep & care of the animals. This is a ticket only event & numbers are limited. Contact the critter keeper for further info or ticket purchase. Tickets cost £5 per person, children under 3 free. All children must be accompanied by a paying adult. Tickets can be bought via PayPal link below. Please state in the note section which event your purchasing tickets for, so we can reserve your space in the correct venue. Tickets will be issued & collected on the day at the door. Description: For over five hundred years, Old Aberdeen has been one of the great centres of learning in the North of Scotland. There can be no better place to celebrate Aberdeen’s greatest thinkers, scientists, explorers, inventors, writers and gardeners (yes, we do mean gardeners). We’ll explore the hidden places in this historic burgh, to tell the stories of some great Scots whose achievements did not get the recognition they deserved. The tour lasts an hour and a half and starts outside the Townhouse on the High Street in Old Aberdeen. Tours are funded entirely by donations. Guarantee your place by reserving a space on your website. 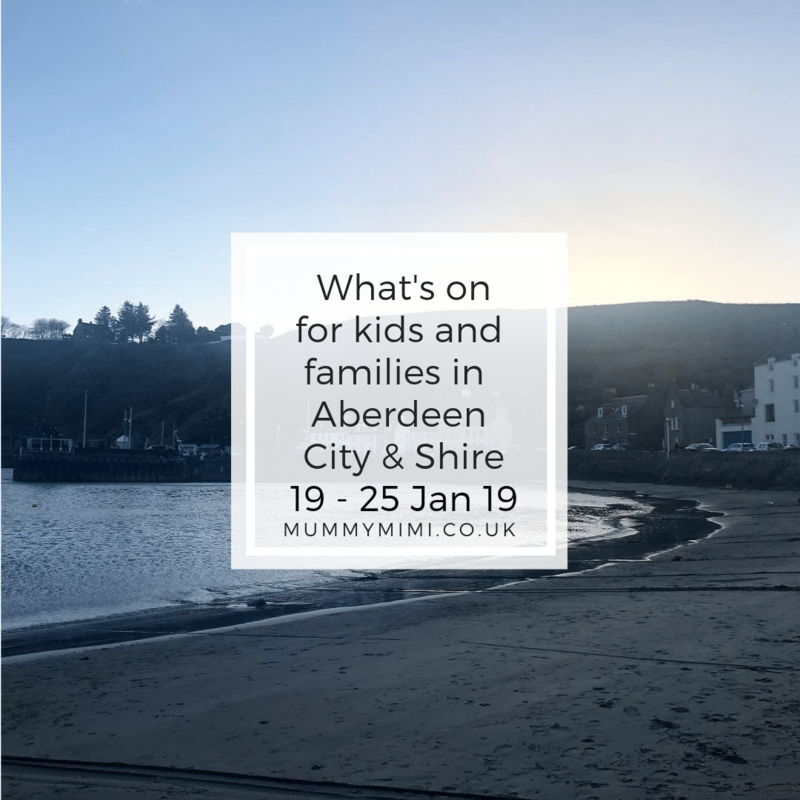 Where: Splat Messy Play Aberdeen & Shire. February – Heart’s & Rainbow’s. April – Happy Easter Bunny. May – We’re going on a bear hunt. June – Summer end of term Party. To book, call 01224 581576. Description: Peep and Bookbug in Aberdeen are collaborating and have developed Around the World themed pop up sessions that will be delivered at different libraries around the city. Families with young children between the ages of 0-5 are welcome to book a space and the sessions will consist of a mix of Bookbug and Peep activities. Our January session will involve Bookbug visiting Scotland in celebration of Burns Night. This event is free but spaces are limited so please send a message to the Peep Aberdeen Facebook page to book a space. Description: Feel like trying something new? Interested in getting involved in the branch? Wondering if your post baby brain still works? Keen to meet some new people and broaden your network? Want to have a go at something different? We’re looking for some keen people to get involved with the branch. If you’re interested, come along to an informal meet in the John Lewis Community room for new volunteers interested in getting involved with the branch. Volunteers from our groups and activities will be there to chat about what we do. All welcome, feel free to bring along babies/toddlers if required. You just need yourself and baby in comfortable clothes, a blanket and a mat if you have one. The class runs every Wednesday at 10.10am-10.55am and cost Â£6 per class and runs upstairs in Foodstory cafe on Thistle street so perfect place to have a coffee and chat after class. Feel free to stop to breastfeed, bottle feed and change nappies anytime during class. I also have padded flooring for the rollers so they can be free to show us their new cool tricks. Description: Our award winning Little Explorers art classes for toddlers and preschool children provide the perfect solution for all your child’s creativity needs, with no stress or mess for you! Messy Play Ellon-Mess Around Party! For your entertainment we will have a piper, a speaker and some highland dancing for you all to enjoy!